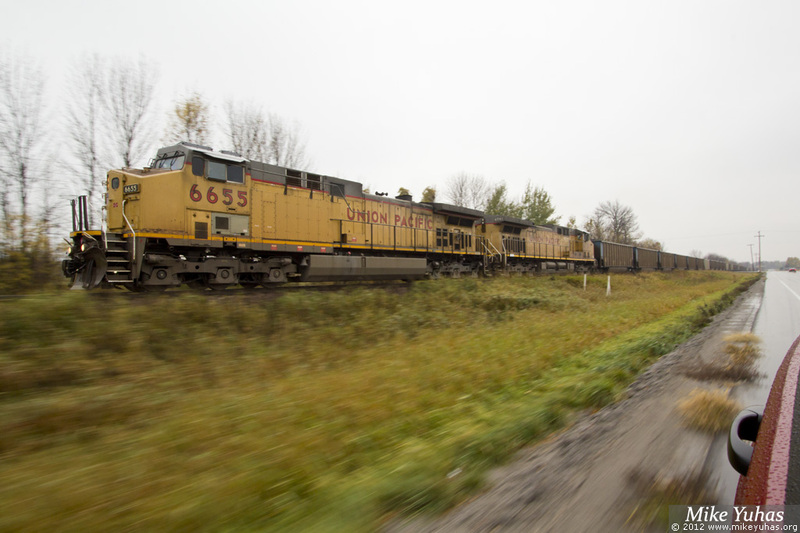 Coal shipments to the Edgewater Generating Station have recently picked up; three sets of coal hoppers are now in use between the Wyoming mines and Sheboygan. Each trainset can make the roundtrip in about a week, so now the Shoreline Subdivision sees about three loaded coal trains per week. Over most of this past summer, only one trainset was in operation.